1 Paint the frame of the noticeboard. Water-based acrylics are easy to use for this as they are low in odour and you can wash pots and brushes in water. Or use PVA glue to stick fabric all over it in the same way as for the lamp in one of our projects. Wait for this to dry completely. 2 Then make the hexagon templates (you can draw a shape in Office Word, for example. Then use the templates to cut shapes out of the decorative papers, printed pictures, old maps, old photos, even scraps of fabric. 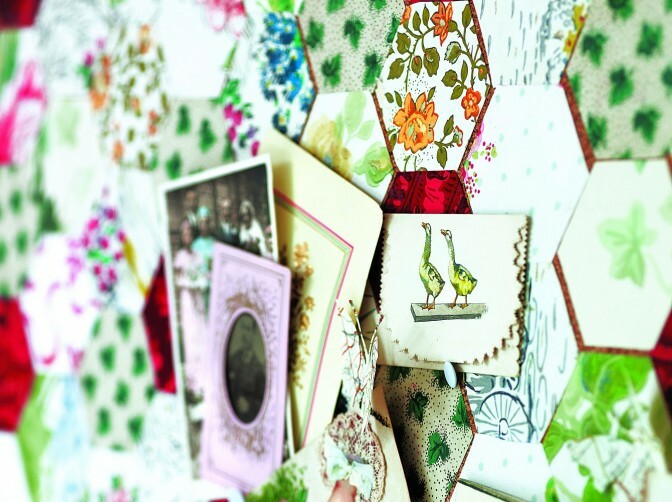 3 Using PVA glue and a brush, paste the backs of the hexagons and stick them to the cork board. Push the pieces at the edges or the cork board underneath the wooden frame if possible, or trim them to fit perfectly. 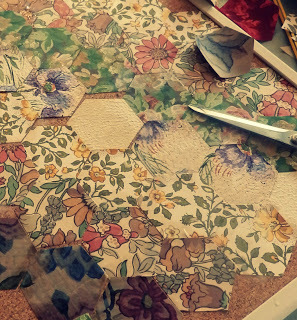 Work your way around the noticeboard, butting all the hexagons edge to edge until no cork is left showing. 4 Ad a little box of pushpins and fix your gift tag to the board. 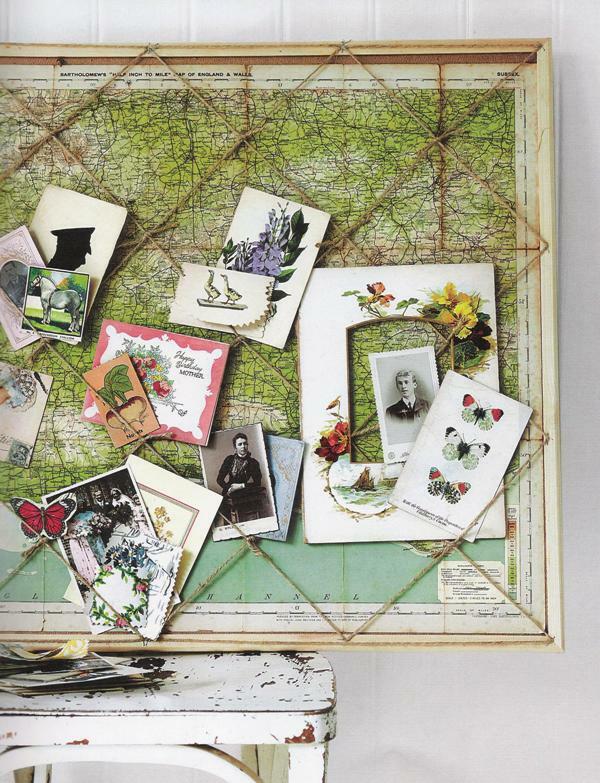 The other option is to stretch a simple twine across the board and just stuck your notes or postcards on it (or you can use small, wooden pegs). If all of this is to complicated for you, track down an old map and stick that to the cork board using PVA glue.